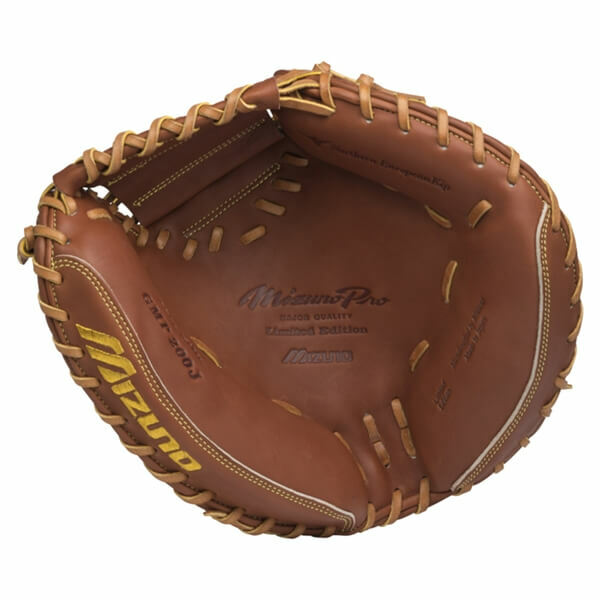 The Mizuno Pro 33.5 Inch GMP200J Baseball Catchers Mitt is constructed from the perfectly conditioned Japanese tanned Northern European Kip Leather. Each glove comes with a one time off season reconditioning program to restore your glove. Made in Haga, Japan - Each glove is meticulously handcrafted by Mizuno technicians at our production facility in Haga, Japan. 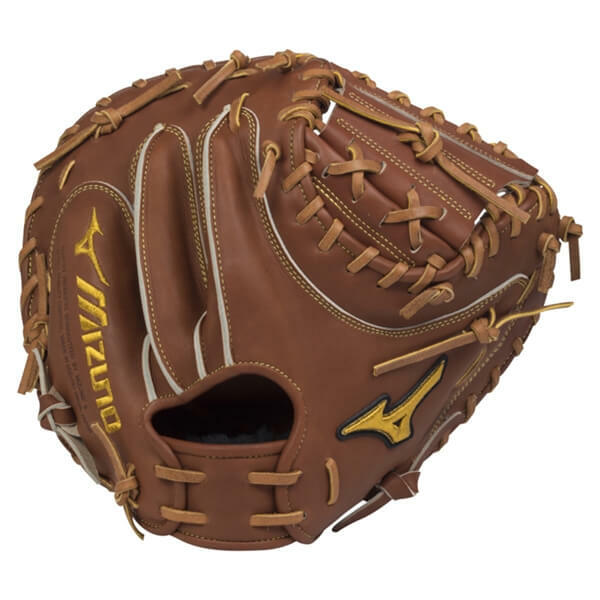 Japanese tanned Northern European Kip Leather - Tighter fibers, proprietary tanning provide perfectly conditions leather that is stronger than previous Mizuno Pros. Off Season Reconditioning Program - One time reconditioning program restores your glove to its original glory.